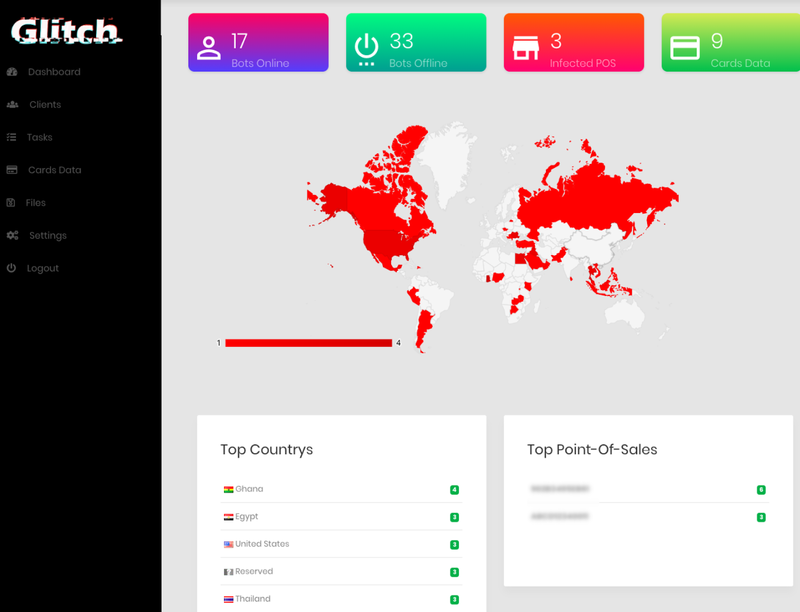 Researchers at FireEye have detected a new strain of point-of-sale (POS) malware being used in the wild and served through a spam campaign. A new malware called NitlovePoS has the capability of capture and exfiltrate track one and two from payment cards, and to accomplish that it scans the running processes of the infected machine. FireEye announced that crooks created a new campaign, using emails with subjects as “Any Jobs?”, “Any openings?”, “Internship”, “Internship questions”, “Internships?”, “Job Posting” ,”Job questions” ,”My Resume” ,”Openings?”, and they believe that all started on May 20. Inside the email it exists an attachment named “CV_[4 numbers].doc” or “My_Resume_[4 numbers].doc”, that looks like a resume but in fact in a malicious macro disguised as a resume. 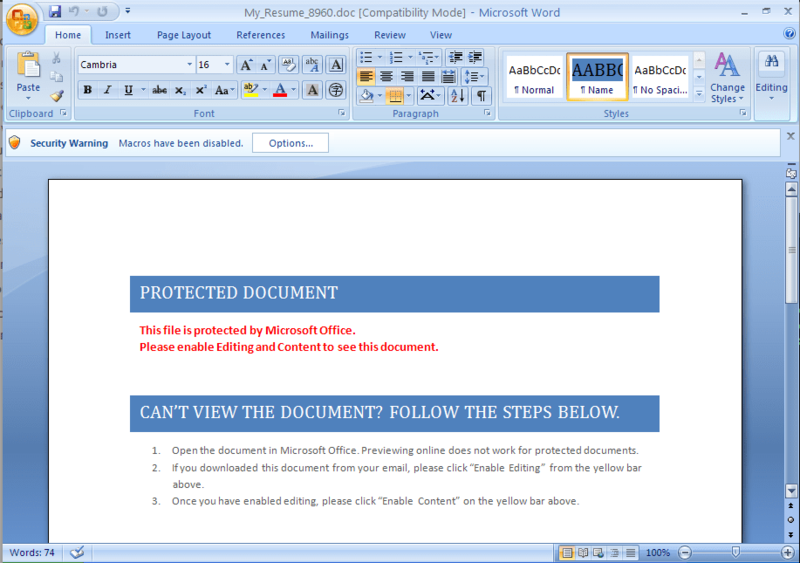 “To trick the recipient into enabling the malicious macro, the document claims to be a ‘protected document’,” said FireEye researchers. This campaign is on-going yet and the crooks have been updating the payload so keep pay attention to any suspect e-mails. “We focused on the “pos.exe” malware and suspected that it maybe targeted Point of Sale machines,”We speculate that once the attackers have identified a potentially interesting host form among their victims, they can then instruct the victim to download the POS malware. While we have observed many downloads of the various EXE’s [hosted] on that server, we have only observed three downloads of “pos.exe”.” added FireEye researchers. When infect the machine, the malware will add itself into the registry key to ensure that it will be able to run again after a reboot. NitlovePoS is not the only a POS malware “out there”, and since the beginning of 2015 many others PoS malware have benn seen, malware such Punkey and FighterPOS. “The key advantage that NGFW (next-generation firewalls) provides for network segmentation is application servers and data can be designated in different segments based on their risk factors and security classifications, with access to them tightly controlled,”.